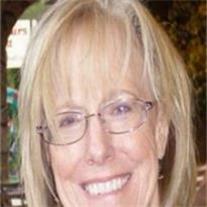 Ann C. Sweetnam, 67, of Mesa, Arizona passed away on May 10, 2012. Ann lived a life of service to her family, friends and church. She obtained her nursing degree in 1964 and retired in 2004 after 40 years of dedicated service. Ann devoted her life to the service of others and enriched the lives of all. Ann went peacefully after a short bout with pneumonia and the after effects. Ann was a devoted wife of 45 years as well as a devoted saint, daughter, sister, and grandmother who wanted nothing else but to spend time with her California rebel husband, visit her children, spouses, grandchildren and close friends. Ann is survived by her husband, Gary, their 5 children, their spouses and 21 and a half grandchildren. Also survived by her best friend and sister Vee Gooch. Ann was a woman of great faith, whose legacy of service will continue in the lives of those left behind. Services will be held at the LDS Church on 3920 E. Brown Rd. in Mesa, AZ at 10:00am on May 19, 2012. Ann will be laid to rest at the Mountain View Cemetery in Mesa at 7900 E. Main St. Flowers through Crismon’s Flowers (480) 964-4595.